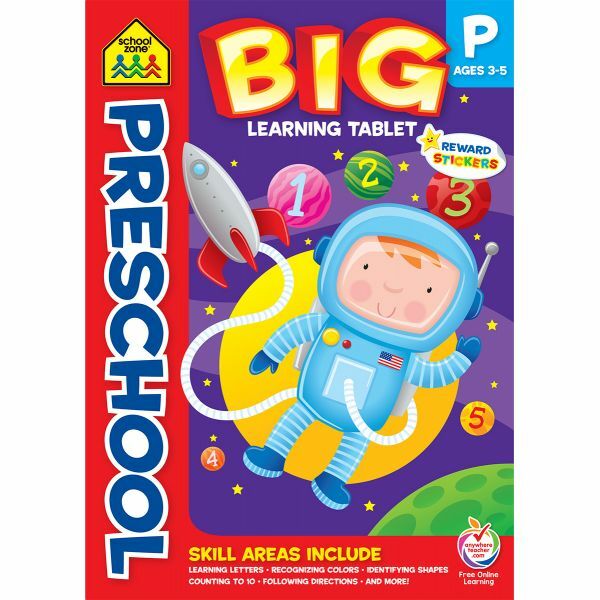 Big Learning Workbook Tablets - This learning tablet is packed with exercises that make learning fun! These activities can support your child's success in school by teaching the alphabet, numbers, early math concepts, reading readiness skills, and more. With over 200 pages of practice, your child will work and learn for many happy hours. Includes reward stickers. This contains one big learning tablet workbook. Imported.